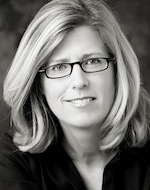 Elizabeth Price Foley is the author of The Tea Party: Three Principles (2012). Price Foley is a professor of constitutional law at Florida International University College of Law, where she was a member of the founding faculty. A self-professed 'recovering liberal', she spent several years on Capitol Hill, as a senior legislative aide to two Democratic US Congressmen. She is Executive Director, Florida Chapter, of the Institute for Justice, a public interest law firm that litigates constitutional liberty claims.